Celery is a task queue with batteries included. It’s easy to use so that you can get started without learning the full complexities of the problem it solves. It’s designed around best practices so that your product can scale and integrate with other languages, and it comes with the tools and support you need to run such a system in production. In this tutorial you’ll learn the absolute basics of using Celery. Choosing and installing a message transport (broker). Installing Celery and creating your first task. Starting the worker and calling tasks. Keeping track of tasks as they transition through different states, and inspecting return values. Celery may seem daunting at first - but don’t worry - this tutorial will get you started in no time. It’s deliberately kept simple, so as to not confuse you with advanced features. After you have finished this tutorial, it’s a good idea to browse the rest of the documentation. For example the Next Steps tutorial will showcase Celery’s capabilities. Celery requires a solution to send and receive messages; usually this comes in the form of a separate service called a message broker. When the command completes, the broker will already be running in the background, ready to move messages for you: Starting rabbitmq-server: SUCCESS. In addition to the above, there are other experimental transport implementations to choose from, including Amazon SQS. See Broker Overview for a full list. The first thing you need is a Celery instance. We call this the Celery application or just app for short. As this instance is used as the entry-point for everything you want to do in Celery, like creating tasks and managing workers, it must be possible for other modules to import it. In this tutorial we keep everything contained in a single module, but for larger projects you want to create a dedicated module. The first argument to Celery is the name of the current module. This is only needed so that names can be automatically generated when the tasks are defined in the __main__ module. The second argument is the broker keyword argument, specifying the URL of the message broker you want to use. Here using RabbitMQ (also the default option). See Choosing a Broker above for more choices – for RabbitMQ you can use amqp://localhost, or for Redis you can use redis://localhost. You defined a single task, called add, returning the sum of two numbers. See the Troubleshooting section if the worker doesn’t start. In production you’ll want to run the worker in the background as a daemon. To do this you need to use the tools provided by your platform, or something like supervisord (see Daemonization for more information). To call our task you can use the delay() method. The task has now been processed by the worker you started earlier. You can verify this by looking at the worker’s console output. Calling a task returns an AsyncResult instance. This can be used to check the state of the task, wait for the task to finish, or get its return value (or if the task failed, to get the exception and traceback). Results are not enabled by default. In order to do remote procedure calls or keep track of task results in a database, you will need to configure Celery to use a result backend. This is described in the next section. If you want to keep track of the tasks’ states, Celery needs to store or send the states somewhere. There are several built-in result backends to choose from: SQLAlchemy/Django ORM, Memcached, Redis, RPC (RabbitMQ/AMQP), and – or you can define your own. To read more about result backends please see Result Backends. Backends use resources to store and transmit results. To ensure that resources are released, you must eventually call get() or forget() on EVERY AsyncResult instance returned after calling a task. 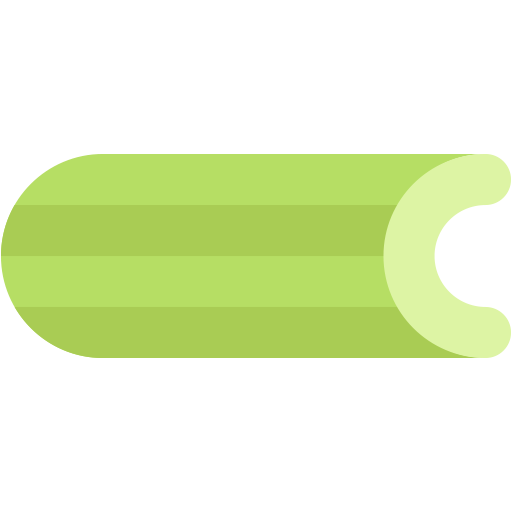 See celery.result for the complete result object reference. Celery, like a consumer appliance, doesn’t need much configuration to operate. It has an input and an output. The input must be connected to a broker, and the output can be optionally connected to a result backend. However, if you look closely at the back, there’s a lid revealing loads of sliders, dials, and buttons: this is the configuration. The default configuration should be good enough for most use cases, but there are many options that can be configured to make Celery work exactly as needed. Reading about the options available is a good idea to familiarize yourself with what can be configured. You can read about the options in the Configuration and defaults reference. For larger projects, a dedicated configuration module is recommended. Hard coding periodic task intervals and task routing options is discouraged. It is much better to keep these in a centralized location. This is especially true for libraries, as it enables users to control how their tasks behave. A centralized configuration will also allow your SysAdmin to make simple changes in the event of system trouble. This module is often called “celeryconfig”, but you can use any module name. For a complete reference of configuration options, see Configuration and defaults. See Routing Tasks to read more about task routing, and the task_annotations setting for more about annotations, or Monitoring and Management Guide for more about remote control commands and how to monitor what your workers are doing. If you want to learn more you should continue to the Next Steps tutorial, and after that you can read the User Guide. There’s also a troubleshooting section in the Frequently Asked Questions. Debian recently renamed the /dev/shm special file to /run/shm. If you provide any of the --pidfile, --logfile or --statedb arguments, then you must make sure that they point to a file or directory that’s writable and readable by the user starting the worker. All tasks are PENDING by default, so the state would’ve been better named “unknown”. Celery doesn’t update the state when a task is sent, and any task with no history is assumed to be pending (you know the task id, after all). Make sure that the task doesn’t have ignore_result enabled. Enabling this option will force the worker to skip updating states. Make sure the task_ignore_result setting isn’t enabled. Make sure that you don’t have any old workers still running. It’s easy to start multiple workers by accident, so make sure that the previous worker is properly shut down before you start a new one. An old worker that isn’t configured with the expected result backend may be running and is hijacking the tasks. The --pidfile argument can be set to an absolute path to make sure this doesn’t happen. Make sure the client is configured with the right backend.